Description: A recreating of an armor found in Cysero's Superstore of Savings, that MAY make you go mad. But before it does, you'll have access to a wide range of Water Darkness, and Evil skills with which to annihilate your enemies! 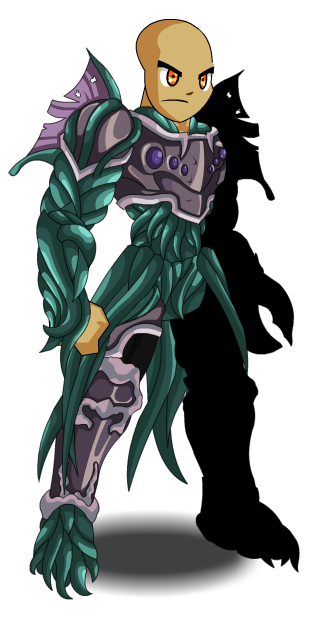 Note: This item is themed from Kathool Adept Armor from DragonFable. Thanks to Shal, SeinSaber and Tendou no Mazo.